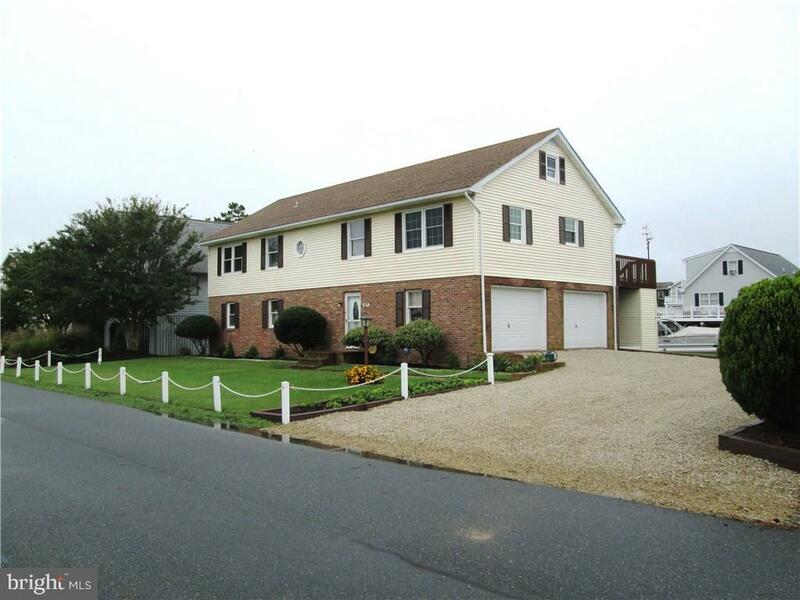 There are currently 19 Fenwick Island Delaware Single Family Homes for sale. 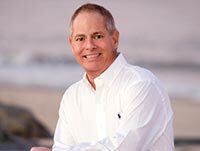 We are your Fenwick Island Delaware real estate specialist offering ALL Single Family Home sales Fenwick Island Delaware Real Estate For Sale. Ultimate Iestment Opportunity! Oceanblock home featuring 3 separate condos that can be rented together or separately. Each property features open floorpans with hardwood floors, gas fireplaces, full kitchens with granite countertops, and stainless steel appliances. The penthouse features 5 bedrooms and a roof top deck with ocean views. The lower floor features 2 separate condos each with 3 bedrooms. All condos are connected by a indoor stairwell and shared elevator. The ground level features plenty of parking, a 12 person hot tub and grill area. All the properties are professionally decorated and in excellent condition. Potential rental income in excess of $200,000 annually. 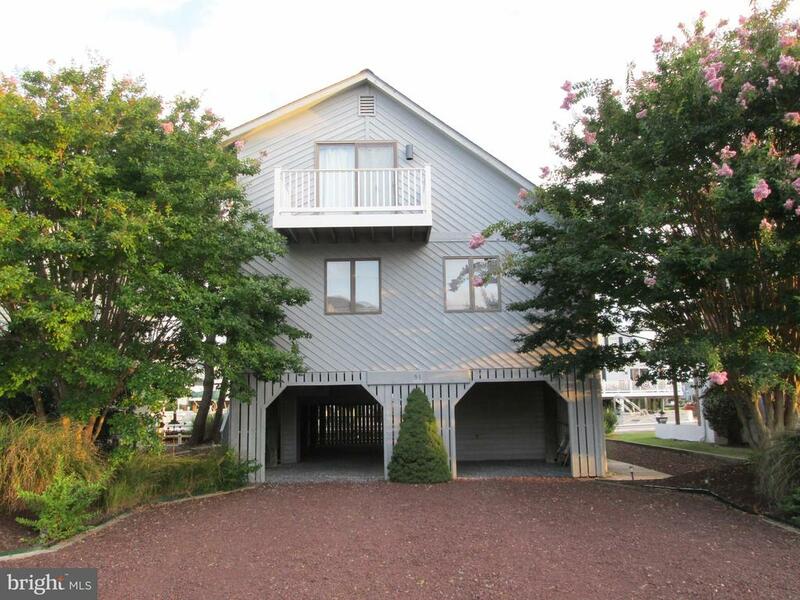 Located in the heart of Fenwick Island and just a short walk to the beach, restaurants, mini golf, and water park. Offered fully furnished and turn key. Many weeks already booked for 2019. Contact listing agent for more details on rental history. Very nicely kept canal front home with 4 Br. and 2 Ba. Many open decks plus a screened porch. Very wide canal which may permit a boat lift. Excellent rental home. Easy to show. Sale will be contingent upon any rentals being in place for the upcoming summer. Buyer must honor any and all rentals that may be in place at the time of contract acceptance. Street light at highway allows for safe and easy crossing to the lifeguarded beaches of Fenwick Island. Park your car and walk anywhere you wish to go within the town.You will love the wood stove in the living room for the cold winter days.All items in the master bedroom closet (second floor canal front) are excluded from the sale. Everything else coeys. Absolutely Stunning 4 bedroom 2 full bath home just steps to the Bay and only 2 blocks to the Ocean in Fenwick Island Delaware. This home boasts bay views from almost every window in the home. 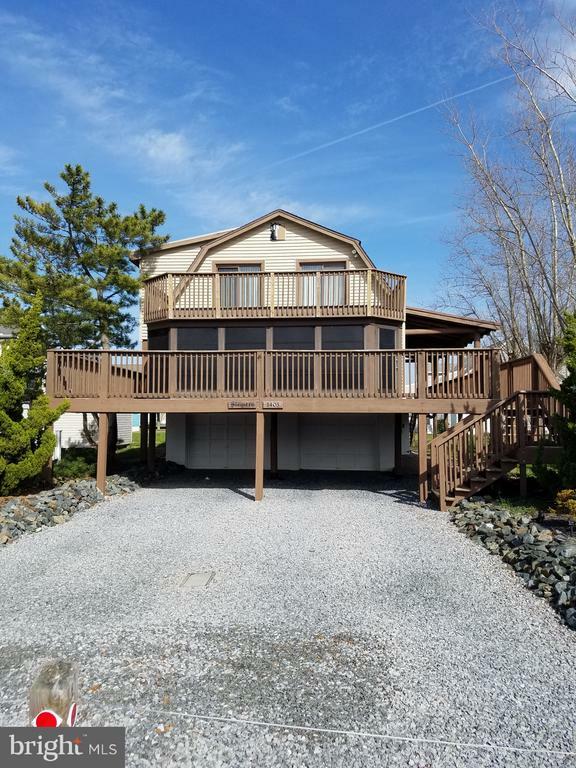 Home has a large deck on the main level with a 3 season room overlooking the bay, and another deck on the bedroom level with access to the deck from 2 of the 4 bedrooms. The main part of the home has a large living room with stone fireplace, large eat in kitchen and a large sunroom to accommodate family gatherings after a beautiful day on the beach. The second level of this home has 4 bedrooms all with views of the bay. The home is a log cabin that was recently sided for ease of maintenance but retained the authentic log cabin character on the inside of the home. The home has a 2 car garage and storage area under the home for all of your beach toys, kayaks, boats or anything else you want to store out of the weather. This unique property is within walking distance to local restaurants, nightlife, and most important the Ocean. This home is a must see and will not last long. This home is being sold partially furnished so bring your bathing suits and be in this home before summer.